Nissan designs a vehicle cooling system that allows for heat dissipation away from the intense friction and heat generated by the engine. The system circulates coolant fluid throughout your engine to absorb heat and transfers that heat out the radiator with pressurized refrigerant. As you can tell, the Nissan Cooling System is quite complex with many parts that are best inspected by an expert technician. 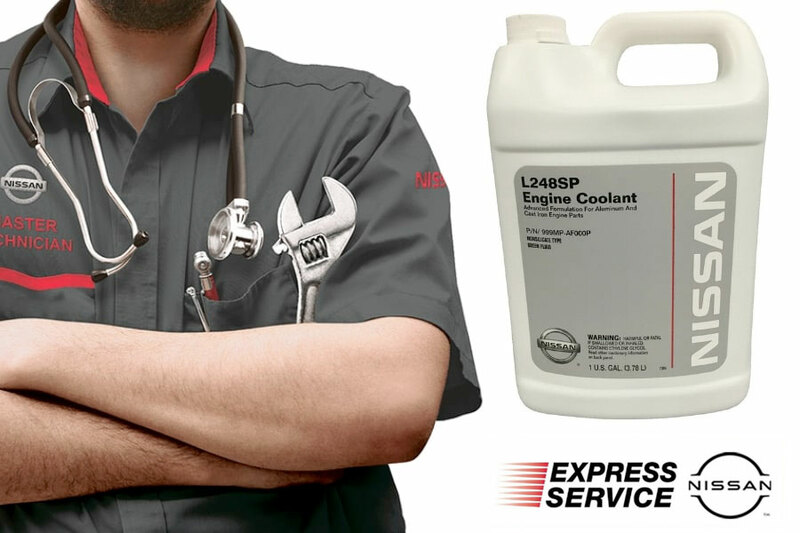 Nissan Cooling System Service is completed by an expert technician that knows how to inspect the water pump, pulley, radiator, hoses, coolant fluid, and caps to make sure that they are in good condition and working properly. If any problems are identified, rest assured knowing that we will correct the problem and send you on your way with a cooling system operating at peak performance. If you are experiencing any of these signs, it is likely that your Nissan cooling system is not dissipating heat away from the engine as it should. Don’t risk the consequences of an overheating engine because it is very expensive to repair. One of the best ways to promote your vehicle’s longevity is with a Nissan Cooling System Service that keeps your engine running cool. United Nissan is conveniently located in Las Vegas within driving range of Paradise and Spring Valley. That means if your vehicle did a tough job this summer keeping your engine nice and cool, we offer the Cooling System Service that will restore your vehicle to factory specifications. Even though the days are growing cooler in our area, the friction and heat inside your engine will continue to demand that you have a Nissan Cooling System operating at factory specifications. At the end of every Nissan Cooling System Service, you’ll know that the system is functioning at its best and your engine is running as cool as possible.